Crew Member: Prepares quality food in a clean, safe, and efficient manner so that guests will have an enjoyable Experience at the Sonic Drive-In. Essential Job Duties: Performs all duties in the Basic Stations (Fountain & Frozen, Dresser, Front Swamp, Back Swamp, Grill, Switchboard, Expeditor, Food Prep, and if applicable, Drive-Thru) as needed and depending on store volume, during a shift to ensure that preparation (portion control), temperature, packaging, appearance, presentation, taste and service of all menu items meet operational standards. Operates switchboard and records customer order, repeats order in a clear and understandable manner. Operates Drive-Thru window and sales register and makes accurate change quickly and efficiently. Prepares fountain drinks and ice cream items. Prepares food by cutting and chopping food items and cooking on grill or in fryers. Prepares food orders efficiently within 2-3 minute time frame. Packages all menu items into bags or trays and places drink orders into drink carriers. Serves food to customers in an efficient manner in the Drive-Thru and as necessary when working in other Basic Stations. Routinely disposes of trash by transporting bags outside and into dumpsters. Cleans all areas of drive-in, including mopping, sweeping, washing dishes, wiping counter-tops and emptying used grease. Performs frequent washing and sanitizing of: food areas, food preparation tools, and hands. Additional Duties: Displays the importance of placing guests’ needs first on a consistent basis. Responds to guests requests in a respectful manner. Promptly reports complaints to a member of the drive-in management team. Wears required uniform and appropriate personal protective equipment as outlined in the Sonic Drive-In operations manual. Performs other job related duties as assigned or required. Qualifications & Job Requirements: Effective communication skills. Basic math and basic reading skills. Ability to follow directions. Ability to work irregular hours, nights, weekends and holidays. Complies with all Sonic Drive-In Policies and Procedures, and all health and sanitation laws and regulations. Successfully completes and follows requirements of all STAR certification and other Sonic Drive-In training programs. Continuous standing, bending, stooping, lifting, stretching and frequent over-head lifting will be required when staging, preparing or packaging menu items and/or cleaning. General knowledge and understanding of the restaurant industry or retail operations preferred, but not required. Crew Member: Prepares quality food in a clean, safe, and efficient manner so that guests will have an enjoyable Experience at the Sonic Drive-In. Essential Job Duties: Performs all duties in the Basic Stations (Fountain & Frozen, Dresser, Front Swamp, Back Swamp, Grill, Switchboard, Expeditor, Food Prep, and if applicable, Drive-Thru) as needed and depending on store volume, during a shift to ensure that preparation (portion control), temperature, packaging, appearance, presentation, taste and service of all menu items meet operational standards. Operates switchboard and records customer order, repeats order in a clear and understandable manner. Operates Drive-Thru window and sales register and makes accurate change quickly and efficiently. · Prepares fountain drinks and ice cream items. Prepares food by cutting and chopping food items and cooking on grill or in fryers. Prepares food orders efficiently within 2-3 minute time frame. Packages all menu items into bags or trays and places drink orders into drink carriers. Serves food to customers in an efficient manner in the Drive-Thru and as necessary when working in other Basic Stations. Routinely disposes of trash by transporting bags outside and into dumpsters. Cleans all areas of drive-in, including mopping, sweeping, washing dishes, wiping counter-tops and emptying used grease. Performs frequent washing and sanitizing of: food areas, food preparation tools, and hands. Additional Duties: Displays the importance of placing guests’ needs first on a consistent basis. Responds to guests requests in a respectful manner. Promptly reports complaints to a member of the drive-in management team. Wears required uniform and appropriate personal protective equipment as outlined in the Sonic Drive-In operations manual. Performs other job related duties as assigned or required. Qualifications & Job Requirements: Effective communication skills. Basic math and basic reading skills. Ability to follow directions. Ability to work irregular hours, nights, weekends and holidays. Complies with all Sonic Drive-In Policies and Procedures, and all health and sanitation laws and regulations. Successfully completes and follows requirements of all STAR certification and other Sonic Drive-In training programs. Continuous standing, bending, stooping, lifting, stretching and frequent over-head lifting will be required when staging, preparing or packaging menu items and/or cleaning. General knowledge and understanding of the restaurant industry or retail operations preferred, but not required. The Assistant Director of Finance manages the day to day operation of the Accounting office. Primary responsibilities include financial analysis and financial reporting, audit and control, and cash controls. Responsibilities: • • Oversees the AP and Cash functions. Oversees General Cashier and Income Auditor. Processes daily sales upload in TM1 and reviews for accuracy. Ensures compliance with all Generally Accepted Accounting Principles (GAAP) and the Uniform System of Accounts for the Lodging Industry (USALI). Assists Director of Finance and department heads in the interpretation and analysis of financial data, recommending courses of action to maximize hotel profitability. Maintains a strong accounting & operational control environment to safeguard assets, improve operations and profitability and manage business risks. Ensures compliance with all appropriate and required Standard Operating Procedures (SOPs). Communicates financial concepts in a clear and persuasive manner that is easy to understand and drives desired behaviors. Leverages technology and effectively uses information systems and tools to generate financial reports. Reviews audit issues and makes corrections as necessary. Monitors systems to ensure accuracy of data (e.g., outlet menu prices) and support the achievement of revenue goals. Ensures tax rates used for sales/use tax are current and proper amounts are collected and/or accrued. Documents tax exempt transactions. Ensures hotel permits, licenses and if applicable vendor contracts are current. Performs other duties as assigned to meet business needs. Other information: SKILLS Understanding of hotel accounting processes including AP, AR, GL, and cash. Understanding of Front office accounting processes including PMS, POS, Guest Ledger, and Audit. Understanding of Accounting Standard Operating Procedures (SOPs) and Internal Control Best Practices. Strong analytical abilities. An intermediate ability to use standard software applications and hotel systems. Strong skills in communication, problem solving, organization, and employee relations. Knowledge of overall hotel operations as they affect the accounting department. Understanding of purchasing and inventory controls. Ability to troubleshoot technology related issues. Effective decision making skills. Effective presentation skills. Ability to influence department managers in procedural issues & requirements. EDUCATION/EXPERIENCE 4-year bachelor’s degree in Accounting or Finance is required. 2 years of experience in hotel accounting is preferred. Required License/Registration/Certification Driver’s license Physical Requirements Lifting, pushing and pulling objects up to and over 50 lbs, climbing stairs and walking on campus Shift Varies Monday-Friday 7:30AM -5PM Job Summary Assist housing furniture crew moving and repairing furniture, help with student move in and other duties as assigned. Skills / Knowledge / Abilities Good judgement, dependable, strong work ethic, attention to detail and excellent customer service skills Does this position have supervisory responsibilities? No Preferred Education/Experience University Community of Inclusion The University of Kentucky is committed to a diverse and inclusive workforce by ensuring all our students, faculty, and staff work in an environment of openness and acceptance. We strive to foster a community where people of all backgrounds, identities, and perspectives can feel secure and welcome. We also value the well-being of each of our employees and are dedicated to creating a healthy place to work, learn and live. In the interest of maintaining a safe and healthy environment for our students, employees, patients and visitors the University of Kentucky is a Tobacco & Drug Free campus. As an Equal Opportunity Employer, we strongly encourage veterans, individuals with disabilities, women, and all minorities to consider our employment opportunities. Any candidate offered a position may be required to pass pre-employment screenings as mandated by University of Kentucky Human Resources. These screenings may include a national background check and/or drug screen. Red River Recruiting- Paducah, KY $60,000 Average Yearly Income Perfect opportunity for OTR long haul drivers to get home more often. This job offers all No Touch Freight, 53' dry vans, the ability to take your truck home, and a limited time sign on bonus. Here are the Details: Starting pay of 0.48 cents per mile 34 to 48 hours off per week sometime between Friday and Monday No touch freights Short 3-day orientation Average 4 drop & hook per week and 6 live load/unload per week Hazmat required within 60 days of hire Must live within 25 miles of Paducah, KY Great benefits package including a company matched 401K Must have a minimum of 3 months recent Class A driving experience If you are ready to apply and meet the requirements, go ahead and click the quick reply button and I will get back to you right away. If you need more details or information, please don't hesitate to contact me. Joe Wheatley (503) 385-1802 Joe.Wheatley@red-river-recruiting.com Be safe out there drivers, it's the right thing to do! Join Our Team! 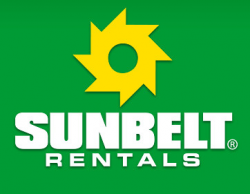 Sunbelt Rentals strives to be the customer's first choice in the equipment rental industry. From pumps to scaffolding to general construction tools, we aim to be the only call needed to outfit a job site with the proper equipment. Not only do we offer a vast fleet that ranks among the best in the industry, we pair it all with a friendly and knowledgeable staff. Our employees are our greatest asset, and although we present a comprehensive equipment offering, our expertise and service are what truly distinguish us from the competition. We pride ourselves on investing in our workforce and offer competitive benefits, as well as extensive on-the-job training for all eligible employees. As a highly successful national company, we are constantly looking for talented individuals to support our growth. If you are interested in pursuing a rewarding career, we invite you to review our opportunities! JOB DESCRIPTION SUMMARY Porter / Yard Worker Are you seeking an entrepreneurial, empowering workplace that allows you to: Work in a challenging, fast-paced environment where no day is the same Advance into mechanic, driver or customer service roles Work with an incredible team of people in a safety-focused culture Sunbelt Rentals-the fastest growing rental business in North America-is seeking a Porter / Yard Worker. The Yard Associate is responsible for the stationing and retrieving equipment on the location's property. The role maintains a written maintenance schedule and may service equipment as necessary to ensure equipment meets all set specifications. The Yard Associate also inspects equipment prior to and after rental to document any lost and/or damaged equipment. Education or experience that prepares you for success: High school diploma or GED preferred Experience with common construction and industrial tools preferred Some experience and/or training in repair of mechanical equipment preferred Knowledge/Skills/Abilities you may rely on Ability to communicate effectively with customers (written and oral) Ability to perform basic math skills (add, subtract, multiply and divide) Working knowledge of the Microsoft Office Suite (Outlook, Excel, Word, etc) General mechanical aptitude safety-focus Bilingual (Spanish or Other) may be required based on location needs The physical demands of this role require bending, squatting, crouching, reaching, lifting 50 pounds or more, and working indoors/outdoors when required by the job. The above description is not a complete listing of all miscellaneous, incidental or similar duties which may be required from day to day. Reasonable accommodations may be made to comply with applicable laws. Sunbelt Rentals is an Equal Opportunity Employer — Minority/Female/Disabled/Veteran and any other protected class. Related experience may include: Porter Hostler, Yard Hand, Yard Jockey, Yard Spotter, Entry Level Mechanic, Mechanic Trainee, Construction Laborer, Washbay Attendant, Equipment Washer, Forklift Driver, Warehouse Worker Gear up for an exciting career! If a current Sunbelt Rentals employee has referred you for an employment opportunity please notify them that you are applying for this position. In order for the employee to get a referral bonus they need to contact their regional recruiter. Our Supervisors support the management team in order to maximize the financial output of the store through the optimization of talent, operational execution and delivery of a rewarding experience for customers and associates. Our Supervisors are part of a team of high‐achievers, who have a passion for excellence, continuous improvement and obsess about getting things done. They are expected to embrace our Mission Statement and Success Drivers for the Supervisor position and model Harbor Freight Tool's Core Principles. Responsibilities Profit Maximization: Drive sales to exceed financial goals Drive productivity and efficiency to achieve desired results Prepare and successfully execute special events Operational Execution: Is a Subject Matter Expert in all operational processes and proficient in assigned areas of responsibility Inspect and coach adherence to Standard Operating Procedures Lead timely and accurate completion of workload Ensure compliance to company policies and procedures Talent Optimization: Train associates for job proficiency and expected behaviors Coach associates and provide timely feedback Support a team-driven atmosphere Customer Experience: Ensure and model a helpful customer experience Ensure items are in-stock Ensure items are priced right Maintain a safe, clean, and organized store Success Drivers Drive For Results: Sets priorities and translates goals into action plans Consistently pushes self and others for results Manages internal and external communications Directing Others: Is good at establishing clear directions Distributes workload appropriately Is a clear communicator Motivating Others: Creates a climate in which people want to do their best Motivates and inspires direct reports and teams Makes each individual feel their work is important Timely Decision Making: Makes sound decisions in a timely manner, sometimes with incomplete information under tight deadlines and pressure Customer Focus: Acts with internal and external customers in mind Understands and teaches how operational execution directly affects the customer experience Establishes and maintains relationships with customers and associates through respectful and effective communication Shared Duties Profit Maximization: Review results utilizing reporting including Scorecard Adjust daily schedule based on business needs Ensure adherence to Loss Prevention policies Reduce risk and protect assets in compliance with the Operational Audit Lead, coach, and participate in execution of special event playbooks Maintain security of physical building, sensitive data, and IT equipment to policy Ensure compliance to Injury Illness Prevention Program; recognize and resolve safety hazards Execution of Physical Inventory Standard Operating Procedure Talent Optimization: Commitment to continued learning and self-development Participate in leadership meetings Train new hires Train existing associates on new initiatives Coach behaviors for desired results Provide input on associate performance to the management team Ensure completion and submission of timecard edit forms as needed Ensure compliance to meal and rest break policy Operational Execution: Execute and validate Daily Download Review all communications and take appropriate action Complete and verify deposits, change orders and cash pick ups Complete point of sale opening and closing procedures Approve point of sale returns, voids, and overrides Take appropriate action during business interruptions and emergencies Ensure Merchandise Management expectations are consistently met Complete forklift certification and operate as needed Completion of inventory adjustments Complete and maintain callbacks and pullbacks Process defects, destroy, special handling returns, managed waste, and open box in adherence to policies Customer Experience: Serves as the Leader on Duty as scheduled Ensure Customer Experience expectations are consistently met Friendly Available Quick Lead, coach, and participate in sales-driving behaviors: Name Collection Extended Service Plan Program Inside Track Club Program Proactive and timely resolution of customer issues Manage and respond to lines at checkout Efficient processing of point of sale transactions Validate completion of daily cleaning checklist Supervise and participate in store recovery standards Position-Specific Duties - Logistics Drive and coach program execution and results: Planograms/Display Planner Pricing Ensure stockroom meets Store Standards Recommend store supplies Drive and coach program execution and results in accordance with Standard Operating Procedure: Floor First Receiving Replenishment Recalibration Cycle Counts Other duties as assigned Requirements Experience: One year experience in retail leadership preferred Education: Technical, Trade, or Vocational degree or High School graduate/Equivalent or 2 years Management or Functional Experience Physical Requirements: Ability to communicate with customers and associates in person and via e-mail and telephone. Ability to intermittently lift, push and/or pull up to 50 pounds. Requires standing and moving for an entire shift. Ability to lift, bend, kneel, climb, crawl and/or twist. Ability to safely climb up and down a ladder. Ability to become forklift certified and physically able to operate a forklift in accordance with IIPP. Availability: Ability to work a flexible schedule, including evenings, holidays, overnights and weekends as necessary to meet the needs of the business. Regular attendance is an essential function of the job. About Harbor Freight Tools In 1977, when Harbor Freight Tools was started as a small family-owned business, we made a commitment to provide working people with great quality tools at the lowest prices. 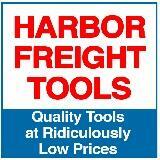 And for over 40 years, Harbor Freight Tools has done just that. From hand tools and generators, to air and power tools, from shop equipment to automotive tools, Harbor Freight offers more than 5,000 tools and accessories at quality levels that match or exceed competing brands, but at prices that are up to 80% less. We're not your typical retailer. We're a team of high-achievers, who have a passion for excellence and continuous improvement and obsess about getting things done. We're also equally committed to doing the right thing and giving back to our community. And for us, collaboration is the golden rule. 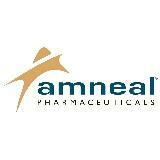 We're a 40 year-old, $4 billion company with over 30 million loyal customers and growing. If you are looking for a not so ordinary and highly rewarding career opportunity, we would love to talk with you.